Otolaryngologists | Dr. Annette Mai Pham, M.D. | Dr. Scott Fitzgerald Daly, M.D. Dr. Annette Mai Pham is a board-certified otolaryngologist currently practicing as a partner physician at Metro ENT and Facial Plastic Surgery. 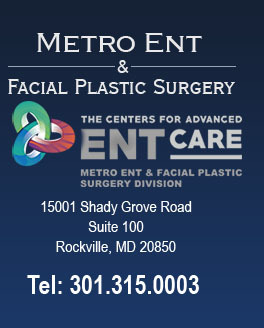 Previously, Dr. Pham served as an associate physician at the Ear, Nose and Throat Specialists of Shady Grove, and also has previous teaching experience. Dr. Pham graduated with her medical degree and as a member of the prestigious Alpha Omega Alpha honor society from the University of Medicine and Dentistry of New Jersey. She then completed an internship and residency training in Otolaryngology – Head and Neck Surgery at the University of California, Davis. Dr. Pham then continued her training by completing a fellowship in Facial Plastic and Reconstructive Surgery at the University of Miami. Throughout her medical experience, Dr. Pham’s work has appeared in numerous publications and presentations on a wide range of otolaryngology subjects. Dr. Pham also generously donates her time to many local and international charity organizations, including medical missions with the organizations, Operation of Hope and Operation Restore Hope as well as local hospital cancer screenings. Dr. Pham is fluent in English and Vietnamese. In her spare time, she enjoys practicing Bikram yoga, skiing and spending time with her husband and two young children.